Hi, I’m Richard Dee, I live in Brixham, Devon and I write Science Fiction and Steampunk adventures, as well as chronicling the exploits of my amateur detective Andorra Pett. I have published seven novels and two collections of short stories. 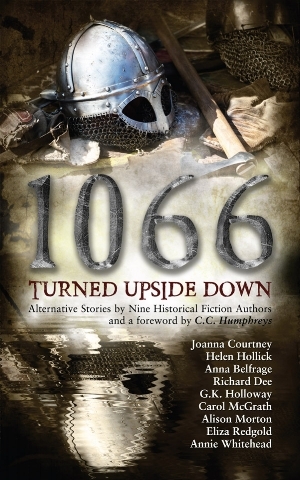 I also have a story in an alternative history collection called 1066 Turned Upside Down. I’m retired from a forty year career at sea. I spent the last twenty years as a Thames Pilot, taking ships of all sizes up and down the river, through the Thames Barrier and Tower Bridge. Happy days (except at three am on a February morning, when you’re climbing a rope ladder and the cold rain is running down the back of your neck). Here’s the start of Andorra Pett and the Oort Cloud Café, my current project Andorra Pett on Mars, is the sequel. More about that later. The entrance was in partial darkness, the alleyway behind me dimly lit with flickering tubes. My heels had clicked on the floor as I passed small piles of rubbish and stained brick-effect cladding. The heels didn’t really work here but I was out of my depth and struggling to catch up. Same as the clothes, my designer suit was a little out of place in this riot of grey. It was a splash of colour in a drab working world. “People don’t come down here much,” explained my guide, the rental agent for the place I wanted to see. I’d forgotten his name and instead thought of him as Mr Greasy. It suited him, his hair was greasy, as were his clothes; even his smile was up there on the grease-o-meter. He probably thought of himself as a ladies man, I know we were out on the fringes but surely not? Maybe a desperate ladies man but I wasn’t desperate. At least, not that desperate. Not yet. I knew where he meant; we had passed it on the way here, next to a pharmacy and a few other shops. The diner looked new, all gleaming chrome and fresh-baked aroma. The barista was archetypal, white teeth and blonde hair, a role model for Mr G. Maybe someone would tell him. He opened the control box and pressed a few buttons on a keypad. The steel security curtain rolled up to reveal a wide window and a door at the side. Faded lettering proclaimed that this was the ‘ucky Strike Bar and Grill’. The ‘L’ had fallen off; there was the faint outline of where it had been. As the mesh rose, dust fell from the links; the place must have been shut for a while. “There was a change in the law, no booze allowed any more. It kind of stopped him in his tracks. He gave up and walked away, owes me a month’s rent too,” said Mr G as he opened the door, this one had a combination lock. He flicked the light switch; dim red lighting came on, just enough to see tables, chairs and a bar. Everything was covered in dust, there were dirty glasses on the tables and the overhead video screens were blank and cobwebbed. That meant spiders, space spiders! I shuddered, I don’t like spiders. “All the alcohol’s been impounded but everything that’s here is yours for two hundred a month, one month up front.” I had a sudden feeling, like this place was where I was meant to be. “I’ll take it.” OK, so it wasn’t ideal but to be honest, I was fed up with running. I’d ignored my feelings before and look where that had got me. I might even grow to like the place. Besides, there wasn’t anywhere further to run. We were on the edge of civilisation. “What you gonna do with it? You can’t open it as a bar and we’ve already got a diner.” It was a fair question, I didn’t really know but I wasn’t going to tell him that. He moved closer. “Let’s seal the deal then,” he suggested, with a wink. One of the advantages of being a short shrimp, as my mother used to say, was that you didn’t have to reach down too far to do a man serious damage. I was just contemplating that when he was saved by the arrival of Cy, my friend and business partner, dragging a trolley full of luggage. Greasy backed off; Cy was larger and less greasy than him. He didn’t know but Cy had no interest in me in that sort of way. Dave was the love of his life, he had left him to look after me, and that made me feel alternately good and bad, they had seemed as happy together as Trevor and I had. “Maybe the diner needs a little competition,” I ventured; this brought a smirk and a shake of the head. He was saved from having to answer by the sight of the money in Cy’s hand. He took the notes, counted them and walked away, chuckling in a greasy sort of way. “I’ll give you a month,” he shouted over his shoulder. I thought that wasn’t too much of an endorsement, considering I’d paid for a month. Or maybe that was what he meant. I stopped and turned back to him. “Can you bake cakes, Andi?” He had a point; he’d tried my sandwiches once. He reckoned that I wouldn’t be able to do toast without a recipe and a video. I’d show him. “Yes,” I said with confidence, and then I thought about it, “No… sort of; how hard can it be?” My mum had taught me and she’d never killed anyone. I turned back and continued to the end wall. I had thought the place was dark, I was about to find out if I could make it lighter. I had spotted the control for the picture windows all along one wall, reaching over the stained bench seats I grabbed it and turned it. The switch was sticky and resisted but in the end it rotated and with a whir the view was revealed as the shutters went up. Saturn’s rings in all their glory filled the room with reflected light, the space opened out and the room became more than just a derelict and unloved bar. Even an ‘ucky’ one. This was now my café, and I was going to make it work. I’d even thought of a name. And Cy was going to help me. Andorra Pett and the Oort Cloud Café was inspired by an idea for a short story that I had. I wanted to write about people mining the rings of Saturn. At the same time, I thought it would be good to try and write a female character, having three daughters had given me a wealth of material. I saw that there were a lot of stories about women who, for various reasons, had gone somewhere and changed their lives, it seemed logical to combine the two, with the sci-fi twist. So Andorra went to a space mine and opened a café. Throw in a mystery for her to solve and there you are. A fish out of water, reluctant amateur detective series was born. The sequel (Andorra Pett on Mars) is almost ready to publish and I have two further instalments (Andorra Pett and her Sister and Andorra Pett takes a Break) in development. As well as Andorra, I have sequels, prequels and spin-offs to my other series in progress. Mostly at the request of readers, who always seem to want more explanation, more backstory or just more adventures. I’m also trying to start some new projects, when I find the time. I’ve always loved Sci-fi, I graduated to it from the Famous Five, via C.S. Lewis, as I learned to read. I loved the idea of escaping to another place, whether it's on Earth or a different planet. After a while, I wondered if I could invent my own worlds and adventures, rather than just reading and imagining from what somebody else had written. I’m not a huge fan of the over-technical, or of science for the sake of it. I like to keep my stories accessible to readers who might not be huge sci-fi fans. Basically, they’re tales of love, loss and redemption, just set in another place or time, the science is there to give realism and advance the plot, always grounded in a basis of fact. And my Steampunk world of Norlandia is based on the Victorian era, with steam and clockwork replacing oil and electricity. Once you start researching, you realise that so much of what we have today is possible without them. It would be different; who’s to say it couldn’t be just as good? I wrote a short story in 1979 and made it into a novel in 2012. Life sort of got in the way there. But now I’ve started, it gets easier and quicker every time. I published four novels in 2017, writing over 500,000 words in the process. That would have to be Isaac Asimov. He was so prolific and could describe a universe in three sentences. You have to remember that he wrote the first parts of the Foundation series, one of my all-time favourites, in the late 1930’s, it was a visionary masterpiece. As was the work of Arthur C. Clarke, who imagined the future and then lived to see many of his ideas made real. Change projects, I’ve usually got several on the go at once, if I’m struggling with one, I may have more inspiration with another. But I have to be careful not to mix up my characters and put them in the wrong stories. It confuses me, and them. I love getting an idea and starting to put it down. It’s as if I’m watching a film, I just write what I see. I can slow it down and rewind to see it again but I can’t fast forward. As I never know how the story will develop, I dread coming to a point where I know that nothing more is possible and I’ll never know what the ending was. Apart from food? anything really. I can get distracted for hours on Facebook or even by looking out of the window. Unless I’m in the zone, then you could do just about anything and I wouldn’t notice. Whatever happened would probably just find its way into the story. 11) Are you a plotter or a pantster? Pantster every time, as I said, I never know the end until it happens. And I’m frequently surprised at some of the things my characters get up to. As I don’t touch type I will sometimes glance up at the screen and wonder where it came from, why they did what they did. Black coffee and lots of it, it used to keep me awake on long night shifts and I got addicted. You can’t edit your own work, get some expert help. Your cover is probably the most important thing; the first bite is always with the eye. It’s a big market, you need to shout, but always be polite and respectful. “If you wrote something for which someone sent you a check, if you cashed the check and it didn't bounce, and if you then paid the light bill with the money, I consider you talented.” Stephen King said that and it works for me. Write, just get the words down, you can always edit them later. Until you’ve written them, you don’t have a novel, just an idea. My website is www.richarddeescifi.co.uk, there are lots of freebies, extracts from all my work and a new post about writing, either mine or someone else’s, every week.